Hand painted set of six different lighthouses measuring at 8 centimetres each. 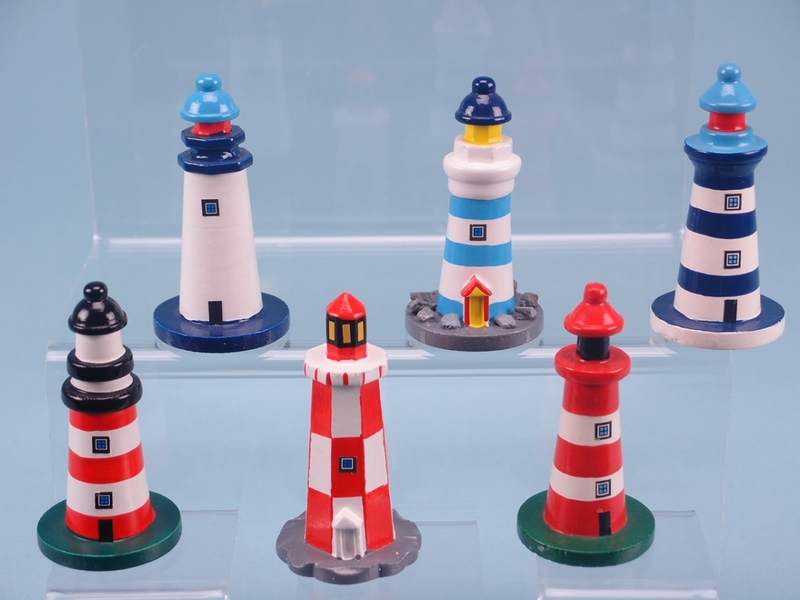 These nifty little lighthouses guaranteed to look amazing atop any mantelpiece or cabinet. As you can see from the image on your left, the assortment includes six small lighthouses. Each and every unit has been carefully crafted, hand painted and measures at 8 centimetres. 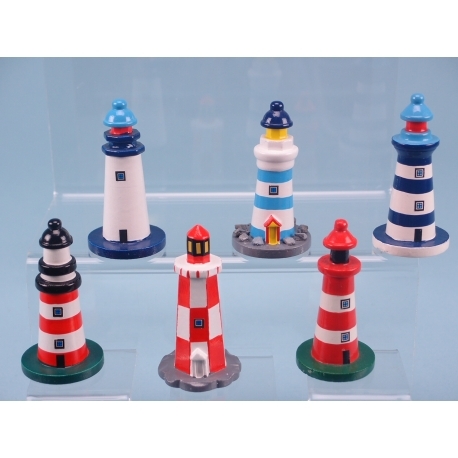 Offered in blue, red and white designs, this lighthouse assortment will make an excellent set of souvenirs for your customers. They are also a great gift for someone passionate about lighthouses. Additionally, they can be used as a cute little ornament in a living space with a nautical theme.